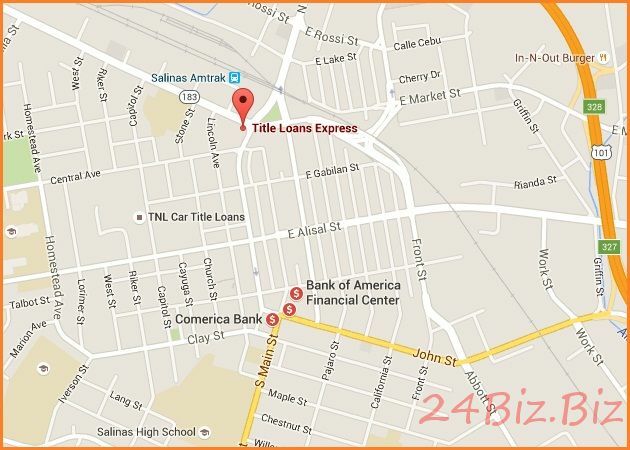 Payday Loans in Salinas, CA - 24/7 Online! Bad credit OK & No fax. You fill out only one application and hundreds of credit companies get it immediately! 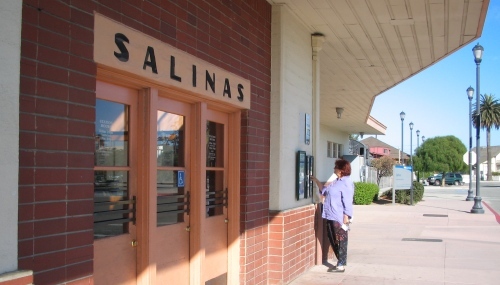 Due to the high competition among lending institutions You can get low interest rate on payday loan in Salinas (CA)! Horrible attitude towards customers (believe me, it's not just my opinion). I've come to cash a check. Only one employee works (this is on a weekday, in the most peak hours!). There was queue, of course... I waited for 2 hours and 15 minutes. Is it normal for a modern bank? Is it your care about customers? "The Five Barriers of Leadership Success"
Research and studies from around the globe have suggested one thing: every organizational leader will stop themselves -unintentionally- from becoming great ones. Regardless of cultural diversities, socio-economic differences from the poorest of families to the most prestigious corner offices of Fortune 500 companies, this self-hindering process is happening. Becoming a great leader, therefore, is simply overcoming these barriers unintentionally created by ourselves. It is actually easier to be said than done, considering most of us, even those with decades of experience, simply doesn't recognize those barriers, it's root cause, and how it affects us and our businesses. Not saying that leaders should be totally selfless, but focusing on personal goals can be destructive when not managed well. This phenomenon has gained notoriety in the recent few years, with the rise of studies and books about servant leadership. They focus on the one simple truth: true leadership is making other people better both during your presence and your absence. Focusing on personal goals will often (if not always) cause self-protection and self-promotion, and often prevents yourself to see the qualities of other members of the team. How to change it: Start focusing on supporting your team. Nobody like failures, that's a fact we cannot argue. That simple human nature is what often cause the over-protection of our public image. Ever heard of leaders who doesn't want to be challenged by those below him/her? The need to be seen as a decision maker often hinders us from hearing necessary feedbacks and criticism. On the other hand, ever heard of a boss who always wants to be loved by their subordinates? The need to be likable can keep ourselves from asking the tough question, or firing people when it's a necessity, and often hinders the experimental nature of innovation-seeking. The last but not least, the need to be seen as an intelligent person can block yourself from a learning process and necessary risk-taking. How to Change it: Do a balanced approach to empower others, and be a true leader instead of wanting to be seen as one. This is actually one of the most common mistakes done in our everyday life. Your competitors can be a business competitor, a person who wants (and deserves?) your position, or simply those you don't get along with. The thing is, your relationship shouldn't be two dimensional. When you close your perceptions that all competitors all enemies, you often distort the realities. There's a lot of successful business stories about how competitors can become allies, look at how Adidas, Nike, and Puma direct their competitions to move each other forward instead of destroying each other. Steve Jobs and Bill Gates may don't get along, but see how Apple and Microsoft competitively move the technology industry forward into what it is today. Without competition, there won't be any XBox or iPhone because nobody pushes them to do anything different than their competitor. How to Change it: Humanize your 'enemies' and see the good your competition can bring. We often heard of a leader who does everything by himself. In the modern business world, however, this actions is seen as detrimental instead of heroic. First, one man showmanship shows that the leader hadn't established trust with his/her team. Second, because you can't control the single, most valuable resource in the world: time. You simply won't have enough time in doing everything alone. Yes, you might be the best in everything the rest of your team are supposed to be doing, but here's the single, core principle of leadership: your team's strength is evaluated by the strength of its weakest member. If you don't empower your team, you yourself are also failing. How to Change it: It's a lot easier to build a core team with those you can respect and trust. Patience can be a gift, but in the leadership world, it's often a curse. Even as the boss, we often wait for permission from others; it can be your investors, your wives or husbands, your parents, or worse, your employees. Risk aversion and fear of failure can be destructive if not managed well. Waiting for permission is the world away from asking, and persuading for permission. Do something, show a proposal, build a prototype, make ideas happen. Impatience can be empowering. How to change it: Simply begin!